Let’s talk about Monday’s TV!THE VOICE: The father-daughter duo was cute in theory, but man, it felt really unfair to that young girl. She wasn’t close to being ready—with respect to her, I can’t recall an audition where I was more sure someone wouldn’t get a chair. And it’s not like she doesn’t have potential…in a year or two, she could be ready. Or maybe she would have been a tiny bit better if she had gone before her father. But it felt like the show rushed her in because it was a VOICE first. But does it really matter if it’s a first if the result isn’t positive? ARROW: I’m finding myself caring less and less about the flashes to the future. The problem with leading to something so bleak is even the temporary victories in the present day hold less weight when you know, say, Oliver and Felicity apparently completely abandon his kid. 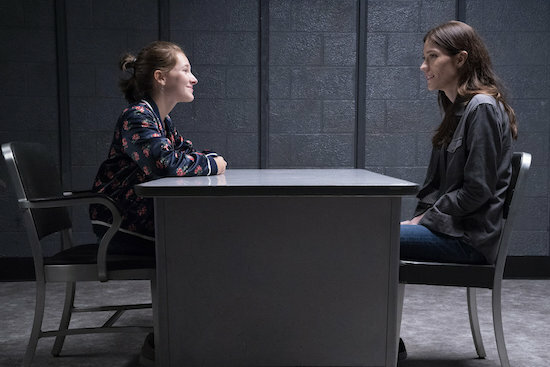 THE ENEMY WITHIN: We’re only two episodes in, but the thread that has intrigued me the most is Erica’s relationship with her daughter. I know that’s not the show’s primary focus, but it feels like it’s most alive when Erica directly is with her daughter. I’ll be curious to see how they balance that going forward, because I imagine there will be episodes in the very near future where the duo have zero interaction.